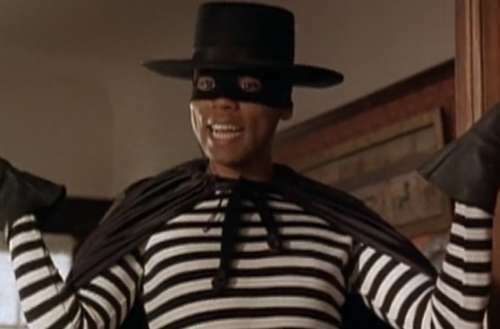 Approximately 13 years before the first episode of RuPaul’s Drag Race, RuPaul appeared in a 1996 film called Red Ribbon Blues, an action dramedy about four friends who start robbing pharmacies to get an expensive HIV medication to those who need it most. In the film RuPaul plays Duke, a Los Angeles gallery owner whose partner, Harold (played by NYC legend Lypsinka), has started experiencing dementia and weakness due to HIV. Duke and Harold consider selling Harold’s life insurance policy to afford D-64, a newly developed but very expensive antiviral medication that could save Harold’s life. Angered by the unfairness of their situation and tired of attending so many funerals of friends who have died from HIV, their hunky friend Troy (who has also been newly diagnosed with HIV) jokingly suggests they should just start robbing pharmacies for the medication. 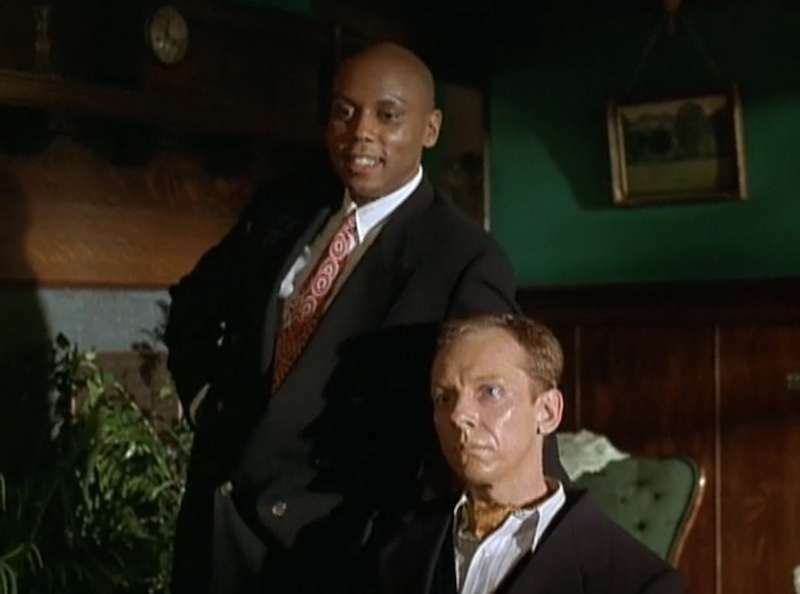 Trey’s tough, drug-addicted, HIV-positive gal pal Darcy (portrayed by Debi Mazar) agrees and comes up with a plan involving toy guns and RuPaul playing lookout. As they start their crime spree, leaving red HIV ribbons as their calling card, the media dubs the group the “Red Ribbon Bandits” and hails them as “the Robin Hood of the ’90s.” Over time, they inspire others to start protesting the pharmaceutical industry’s predatory pricing … that is, until a shooting happens during one of their robberies, setting the Bandits within the crosshairs of local police. 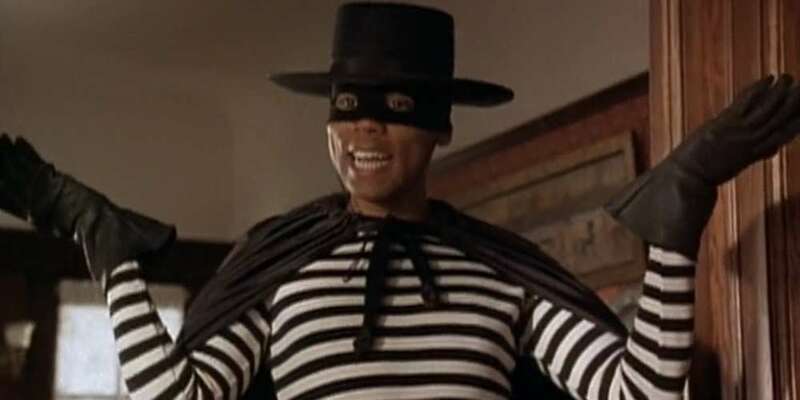 Though RuPaul largely plays the film’s comic relief, nearly screwing up the first robbery when he can’t find the getaway car’s keys and delivering several punchlines with dramatic flair, it’s also a dramatic role, as he aches for his dying partner and worries that his friends might get shot or arrested during their next robbery. While Red Ribbon Blues isn’t a perfect film and has a few problematic moments — one of the heroes commits a gay bashing, and the dated phrase “full-blown AIDS” gets repeatedly uttered — it’s full of heart and is an illuminating look at HIV drug policies of the 1990s. Younger viewers may not realize that people with HIV were once forced to enter pharmaceutical drug lotteries in which literally 100,000 folks would sign up for just 7,000 chances to obtain expensive medications. Others would join secret “buyers clubs” (like the Dallas Buyers Club) to get hard-to-find HIV meds at a heavily discounted rate. Even wealthy HIV-positive people in good jobs avoided paying for their HIV meds with their company’s health insurance for fear of being outed at work and fired for being gay, leaving them prey to high drug prices. The year before Red Ribbon Blues came out, the U.S. Food and Drug Administration (FDA) approved the first effective antiretroviral medications, but they were quite expensive and limited in supply, leading to ACT UP protests over greedy pharmaceutical companies willing to let people die in pursuit of profits. The year after this film came out, the number of new HIV cases in the United States declined for the first time since the epidemic began in 1981 — meaning Red Ribbon Blues entered the conversation surrounding HIV at a very opportune time. And although contemporary HIV medications have made living with the virus manageable, over 6,700 Americans still die of HIV and its complications each year. Health care in the United States remains such a price-gouging joke that even talented, hard-working people get charged hundreds or thousands just to see a doctor or to obtain life-saving medications. In short, many people are still in need of a Robin Hood-like the Red Ribbon Bandits — that or health care policies that are actually invested in saving lives. Have you ever seen the RuPaul-starring Red Ribbon Blues?